A decorative light that hangs from the ceiling and has several parts like branches for holding bulbs, glass crystals or candles. 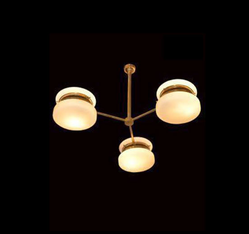 A chandelier is a fancy light fixture that is often ornate and hanging suspended in the middle of a formal space. We offer to our clients beautifully Peacock Jhumar the innovative use of finest quality materials in its manufacturing helps in further enhancing the look of our products. We also offer our clients with complete customized solutions to ensure their complete satisfaction. 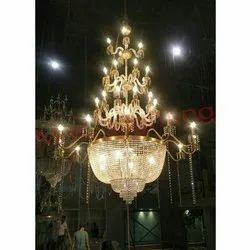 Reckoned as one of the emergent companies of the industry, we are extremely immersed in providing Designer Plexi Glass Chandelier. In order to keep pace with the never-ending demands of customers, we are involved in offering a wide range of Decorative Zummer.